Just want to drop in here and thank you all for sharing your awesome Troopers and companions. Keep 'em coming! 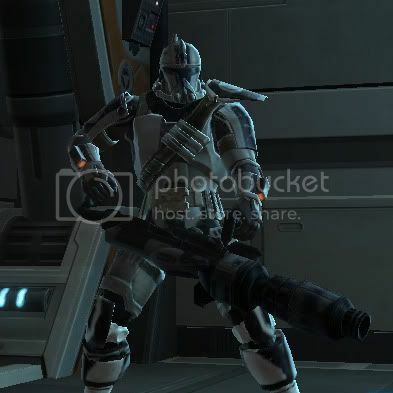 Here is Sergeant Vas prepped for battle. Here he is relaxing a little bit. Nice. It is kinda hard to gather that full suit. Switched to a new robe and pretty much ready... for 1.2. When I can finally have a helmet that's not hideous. I am sorry brother. Normally I am all for individuality, but that reeks of Jeedai. Maybe someone in here can help me out. 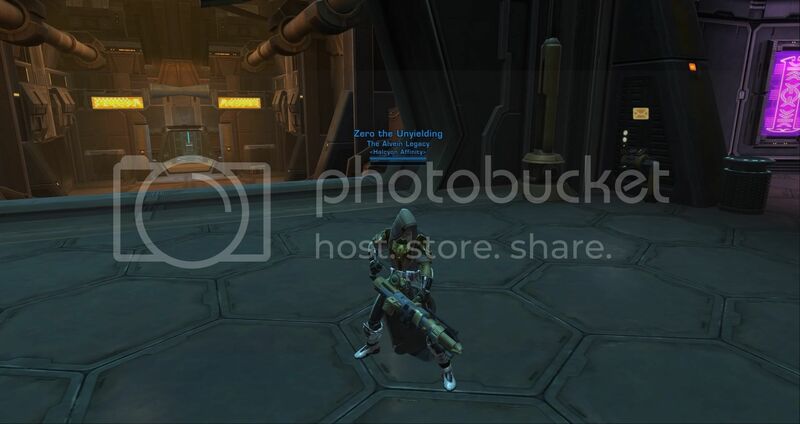 I'm just starting up a Vanguard (level 19 now) And looking at the later gear, I notice that a LOT of the chest pieces have these big bulky (IMO) ugly things stuck onto the back. Can anyone tell me a name, and where to get, a moddable piece that doesn't have that please? I'm not even picky on the color at this point, I would just really love a chest piece without that pack. The only ones that I know of that don't have a pack of some sort are the Hydraulic Press Chestguard (15), Republic Trooper's Chestguard (15) and Hardened Plastifold Chestguard (11). "Ihr aber seht und sagt: Warum? Aber ich träume und sage: Warum nicht?"